Healing patients and promoting good health has always been rewarding, meaningful, and challenging for Emma Dizon, as it has driven her to healthcare. 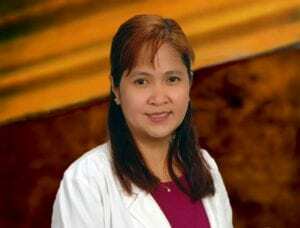 Originally from Manila, Philippines, she worked there as both a Registered Nurse and a University Professor teaching nursing courses, and has been involved in both research and clinical practices globally to contribute to healthcare. After graduating with her second Masters in Nursing from SUNY Binghamton, Emma was offered many new opportunities to continue her love for healthcare as a Certified Family Nurse Practitioner in the U.S. and chose to work in a community health center. Emma enjoys being a part of Finger Lakes Community Health because she is able to help build a strong and healthy community by reaching out to her patients and their families. Her approach to patient care is “holistic. Encompassing the wholeness of personhood in a patient” is most important to Emma. She has a diverse background having worked in Emergency Medicine, Internal Medicine, reproductive health services, Primary Care and Disease Prevention for pediatric, adult and older population groups. In her spare time, Emma enjoys being with her family and reconnecting with relatives and friends. She, her husband, and her two children love get-togethers and eating!